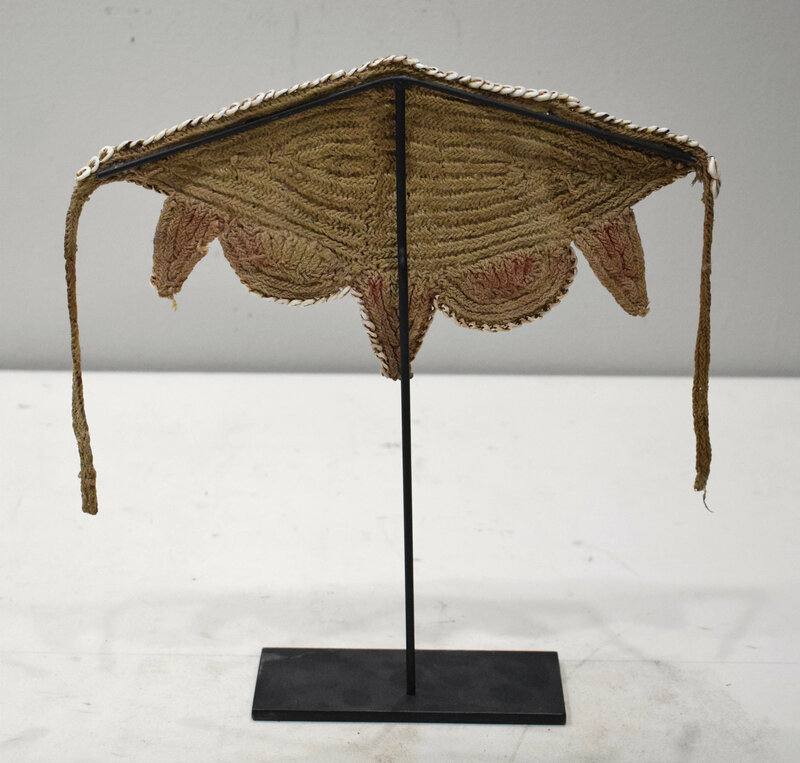 This is a Vintage Woven Fiber Shell Headdress from the Abelam Tribal People of Papua New Guinea. This would be considered a brides price with tiny Nassa shells sewn on plant fiber backing with natural pigment dyed woven pieces adorned with cowrie shells. This piece was worn by a man as a headband indicating wealth and status. Nassa shells were highly valuable for hundreds of years. Nassa shells were often used as currency, and their value depended on how bright and shiny they looked. The Nassa shell was prized for its brightness, as well as certain magical qualities. Because of the shell’s value, only people of importance and wealth could afford to wear them. 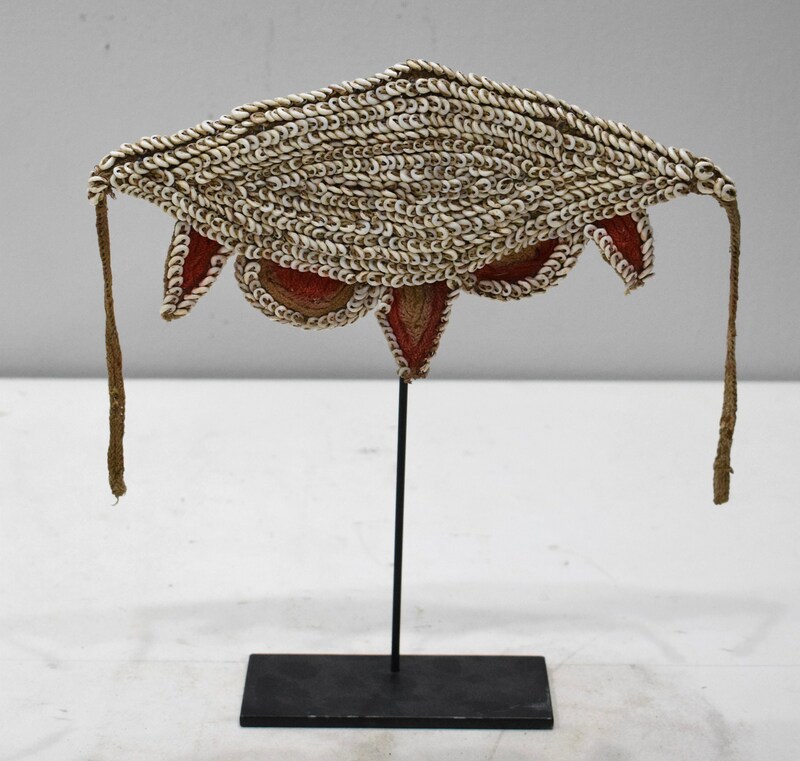 This is a beautiful headband and would be a wonderful addition to your collection or home. Shows age, discoloration, but overall it is in good condition.